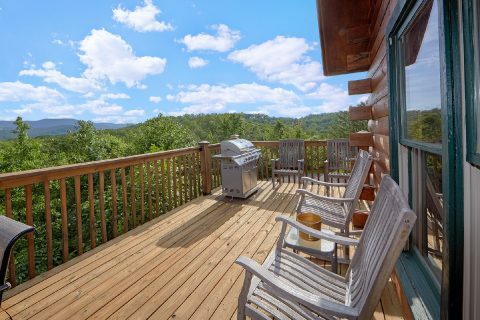 From this cabin's deck, you can enjoy a scenic vista that overlooks the pristine forests of the Great Smoky Mountains National Park. 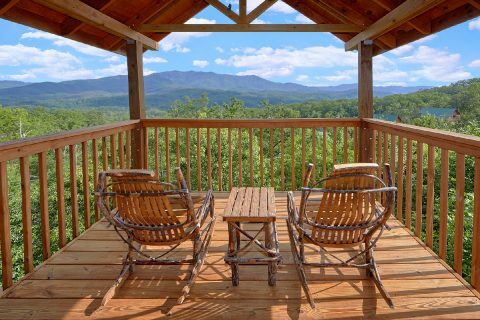 During the day, you can enjoy the sight of spectacular mountains in the distance and in the evening you can see stars fill the night's sky. 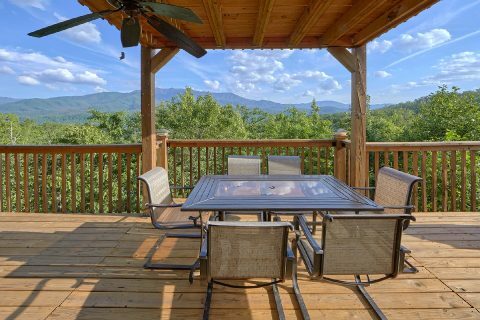 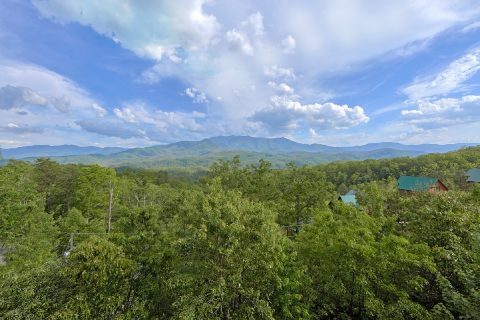 Better yet, this rental offers a prime location that's only 10 minutes away from Gatlinburg, TN. 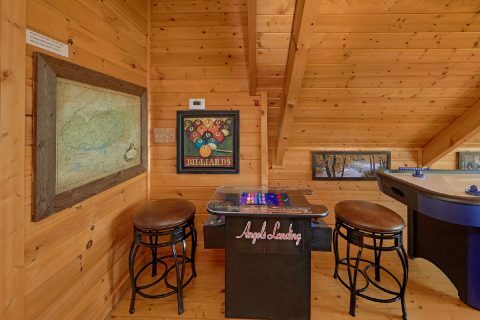 As a result, guests staying at "Angel's Landing" can enjoy quick access to the area's best shops, attractions, and restaurants. 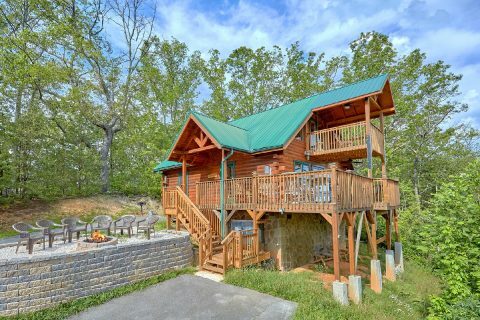 This cabin also keeps guests close to several entrances to the national park if you'd like to explore hiking trails or look for wildlife. 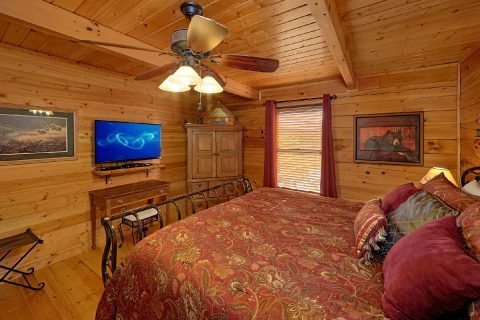 Back at your cabin, you can enjoy a comfortable space that offers everything you need to relax on your vacation. 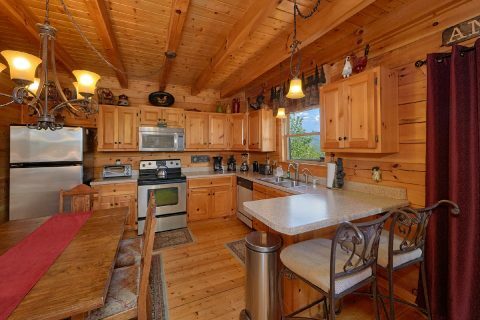 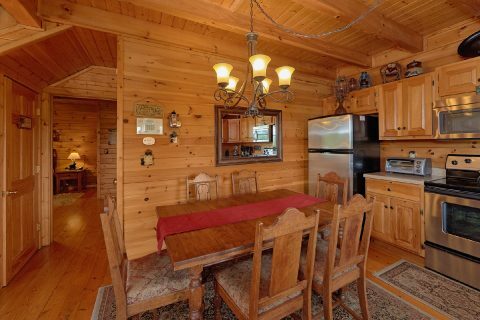 The main level of this cabin is home to an open living room, kitchen, and dining area. 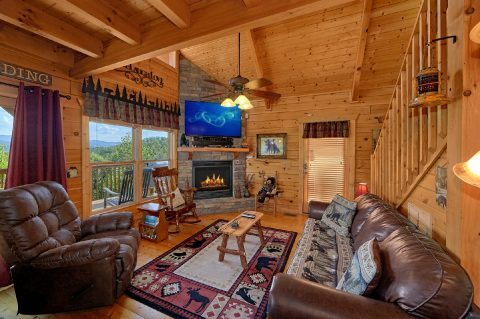 With a gas fireplace, a television, and comfortable furnishings, the main living area is the perfect place to unwind with family and friends. 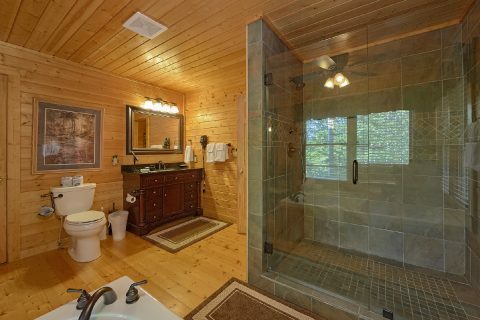 This floor is also home to a king-size bedroom with a beautiful, custom-tiled shower in the bathroom. 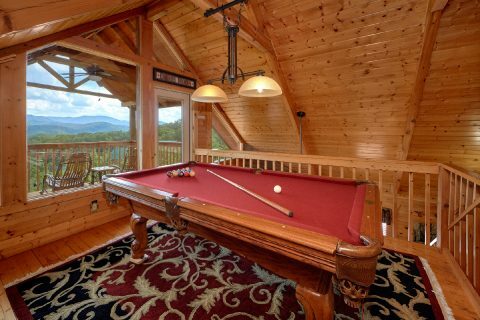 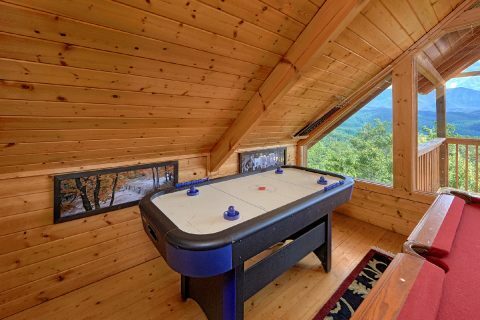 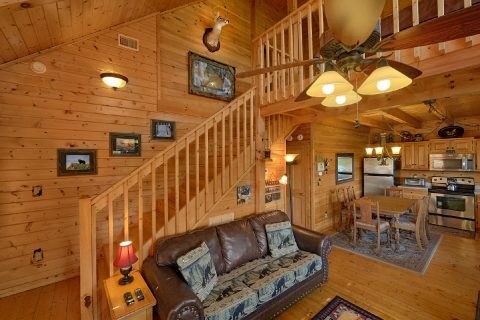 On the upper level of this cabin, you'll find a game room loft that comes complete with a pool table, air hockey, and an arcade game. 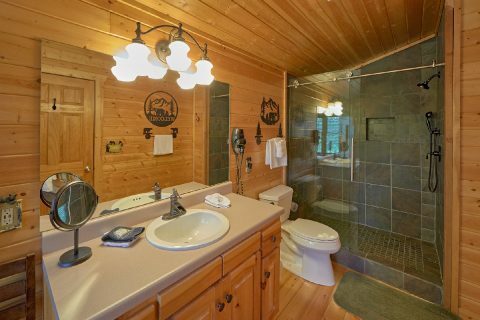 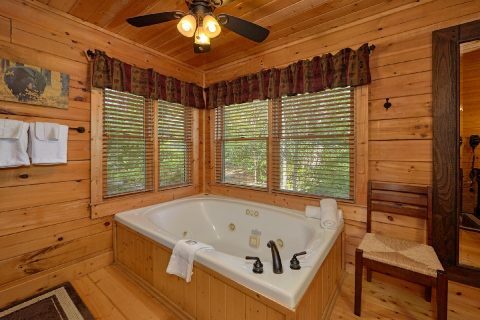 Nearby, there's another king bedroom that also features a bathroom with a custom tiled shower. 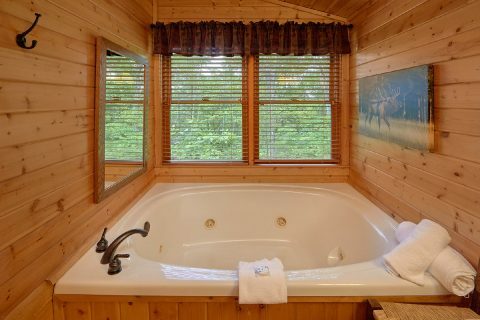 For a truly relaxing experience, this cabin provides both an outdoor hot tub and an indoor jacuzzi tub for guests to enjoy. 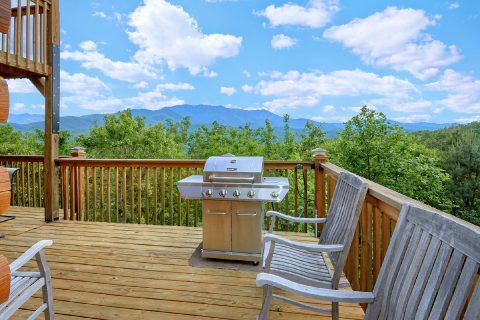 There's also an outdoor fire pit that's the perfect place for roasting marshmallows or telling fun ghost stories! 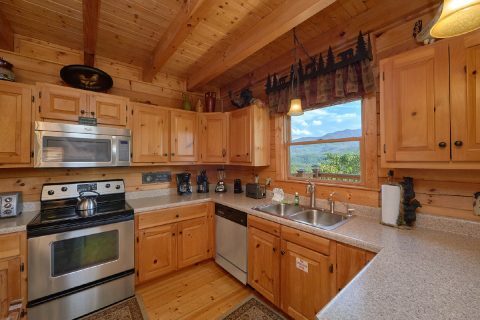 This cabin also provides practical amenities like WiFi Internet, a gas grill, and nice parking space. 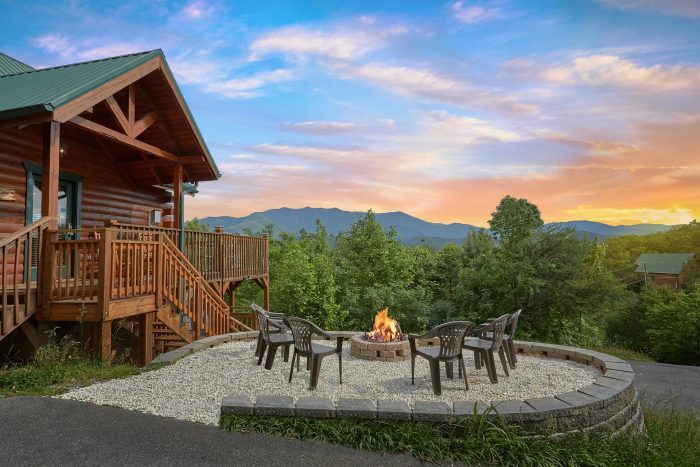 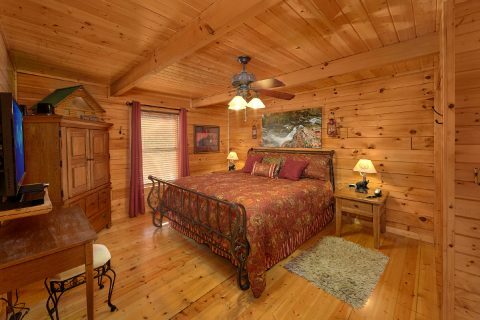 With 2 bedrooms and additional sleeping space, this luxury Gatlinburg cabin sleeps up to 6 guests in comfort. 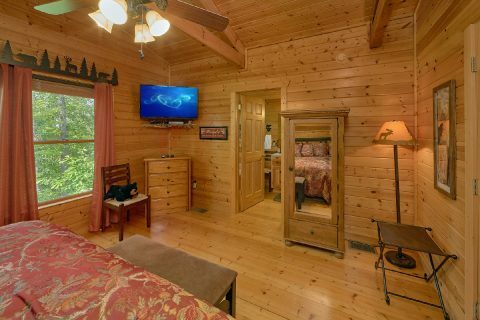 Reserve "Angel's Landing" today with Cabins USA Gatlinburg to save 15% on your nightly rate! Enjoy a cabin with a view and a big discount for your trip to the Smoky Mountains of Tennessee!